The president didn’t, however, accuse Murkowski of letting down Alaska. Under every version of the health care repeal and replacement pieced together by the GOP Alaska seems to suffer the most of any state. Even the so-called “Polar Payoff” that earmarks more than a billion dollars for Alaska’s individual insurance marketplace does little to blunt the concerns about the rest of the bill. Murkowski is right to be concerned about the process and the health care repeals impact on Alaska. 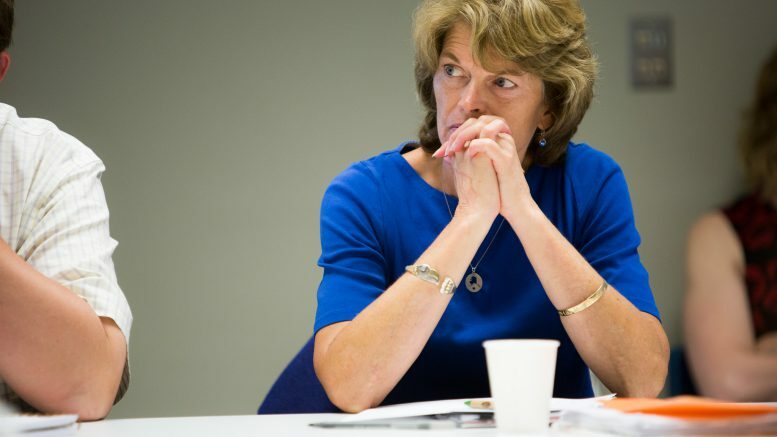 Changes to Medicaid funding and the eventual rollback of enhanced funding for Medicaid expansion will bring real pain to Alaska, and Murkowski is well aware of that. That’s not to say that the bill can’t be improved for Alaska or even that that improvement won’t come through the debate and amendment process Murkowski voted against. The problem is even if some out-of-left-field proposal is put forward that protects the 49th state will the process—20 hours of debate and a vote-a-rama—really allow a full review of the legislation? To put it in Alaska legislative terms, this is like debuting an entirely new capital budget on the floor in a wild attempt to force the other chamber’s hand. It may be a good proposal, but the hurried pace, the opaque process and the blind political pressure doesn’t allow for an honest vetting and thorough understanding of the bill. Can anyone really, honestly say this is good process? Particularly when process was the chief complaint Republicans levied against the Democrats over the passage of Obamacare. The health care bill will reshape somewhere between one-fifth and one-sixth of the country’s economy. When so much is at stake, Alaska and the country are let down by this partisan process. Murkowski responded to Trump’s attack in an interview with Kasie Hunt of NBC News as reported by a rough transcript. Alaska’s senior senator said an elected official’s duty is beyond party and reelection. The entire GOP establishment in Congress would be wise to learn that lesson. There appears to be little interest in actually improving the country’s health care system in this process, and instead the process is driven by a political promise. We’ve heard plenty about what’s wrong with Obamacare, but little about what will be done to improve it. Republicans point at CBO reports that show dropping premiums in the future, but that’s because the sickest and poorest won’t be able to afford coverage or the coverage will be essentially worthless with unaffordable deductibles. Meanwhile, Sen. Dan Sullivan has been more than happy to keep his campaign promise and vote with the party. He voted for the motion to proceed and a procedural vote in favor of the Senate’s health care plan (that nine Republicans including Murkowski opposed). Perhaps he sees it as a way to stay involved and shape the legislation as it moves forward, or perhaps this is the fulfillment of his one-note campaign promise to oppose and repeal all things Obama. To hell with politics, just do what’s right for Alaska. 2 Comments on "Murkowski stood up for Alaska on health care and Trump can’t stand it"
Wow, that was really brave of her, bucking her party over a bill that has a 17% national approval rating. Lisa Murkowski doesn’t do things because they are “the right thing to do”. She does things because they are “the right thing to do to get re-elected”. So that she can continue to serve the interests of large corporations. As I have said before, dump Lisa and elect somebody who isn’t joined at the hip with Mitch McConnell. Then we’d have a Senator who wouldn’t need to get accolades on those very rare occasions that they did “the right thing”. A completely new Senator might actually make doing “the right thing” so boring and ho hum, that we’d barely take notice. We’d actually EXPECT them to do “the right thing”, not be shocked and surprised by it. Not normally a fan of Sen. Murkowski. And yes, much of the time she does the wrong thing. It seems strange to say so on a day she did the right thing. Skepticism is good, I suppose. Let’s just see what happens next.